The Brass Rail Sports Bar & Grill offers a casual dining restaurant menu, numerous HDTVs for all sporting events, 20 pool tables, eight dart boards, shuffleboard, digital jukebox, video games, free WiFi & more. The huge bar with 30 draft beer taps features American & local craft beers, popular domestic & import Drafts, a robust bottle beer selection and diverse liquor offerings. In 2004, at age 75, Gary Mace, a pool enthusiast, local jeweler and long time resident of the Kansas City Northland, pursued his lifelong dream to open a world class pool hall. The Brass Rail established a new benchmark in the industry as an upscale and classy environment to showcase pool and billiards gaming. In 2007, Gary passed away leaving his dream to languish without his leadership and passion. The Brass Rail was in jeopardy of being re-purposed as a strip mall. In 2008, Shane Bright, a local Kansas City resident and entrepreneur, sought to re-establish the Brass Rail as the marquee establishment it once was. Along with his team of experienced hospitality veterans, the Brass Rail has been transformed into more than just a pool hall. 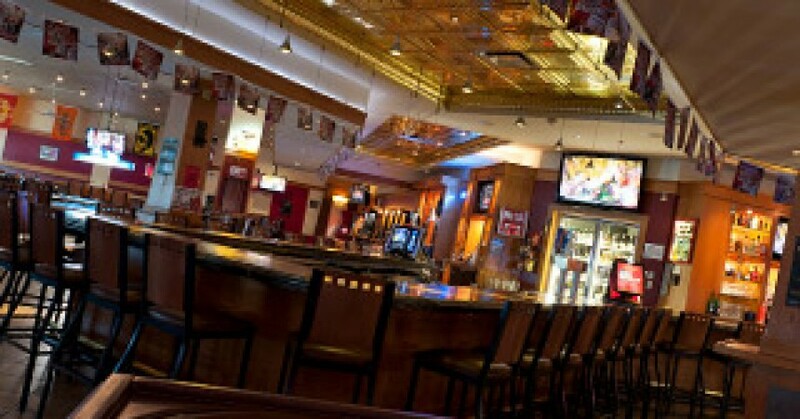 Brass Rail Sports Bar aims for quality food and drinks and strives to set the mark for sports bars in Kansas City. The Brass Rail is a local Kansas City owned and operated establishment. The Brass Rail also supports many local charities throughout the year by offering our facility and services in support of fundraising and awareness for a variety of local charitable needs. The Brass Rail offers Texas Hold’em free poker charity event programs and offers flexibility to accommodate event needs. The Brass Rail also features a full pro shop stocked with pool cues, cases, and other pool and billiards accessories. Special orders for most any pool or billiards related item are also available. For details on hosting an event or for more information about The Brass Rail, call (816) 468-6100 or visit Brass Rail online.